The recent, endless, brave strikes by Iranian workers prompted the regime to send the henchman Sadegh Larijani, the head of the regime’s judiciary, to the scene on November 26, to intimidate the participants. 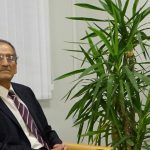 According to a report by the National Council of Resistance of Iran, the clerical regime, which has become furious and aggravated by recent work stoppages and demonstrations of workers of the Haft Tappeh sugar cane mill, on Thursday, November 29 arrested Mr. Ali Nejati, former president of the Haft Tappeh sugar cane workers union, along with his son, and transferred them to an unknown location. The repressive forces arrested and beat him while he was suffering from heart disease and was badly ill. 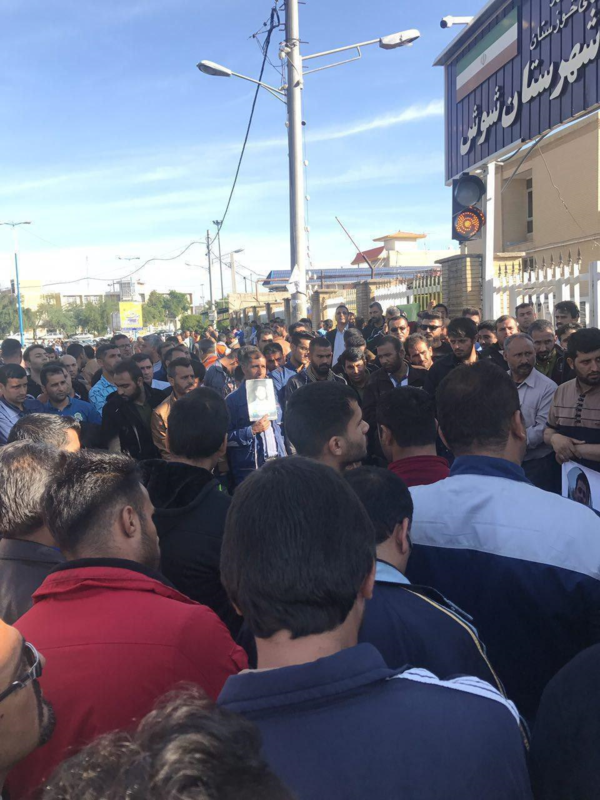 Despite these arrests and the presence of suppressive forces in the city of Shush, the workers of the Haft Tappeh sugar cane mill continued their protest for the 25th day. They chanted in the gathering in front of the regime’s governorate – Imprisoned worker must be freed! 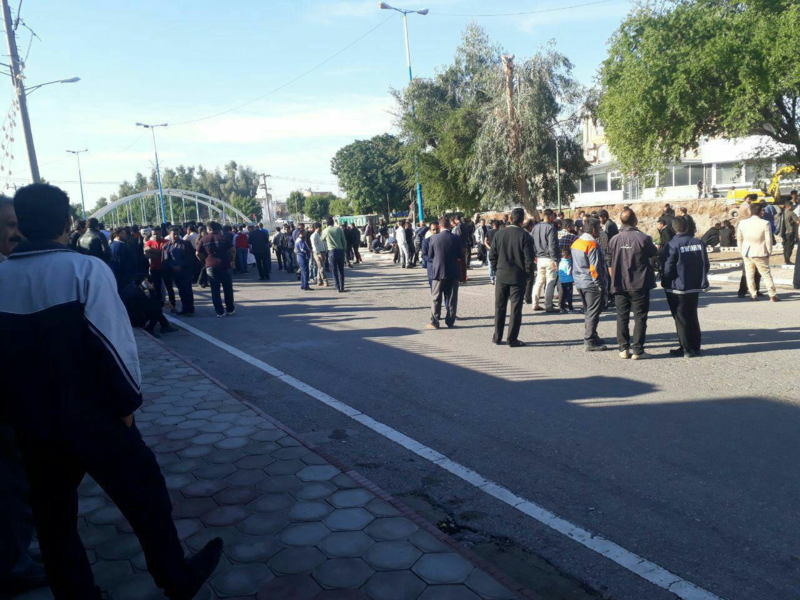 The governor, a regime MP, and the head of the Revolutionary Guards went to the area to force the workers to end the strike by giving deceptive promises. However, they were faced with a negative response from the workers. Workers interrupted the speech of the member of the regime’s parliament by chanting slogans. 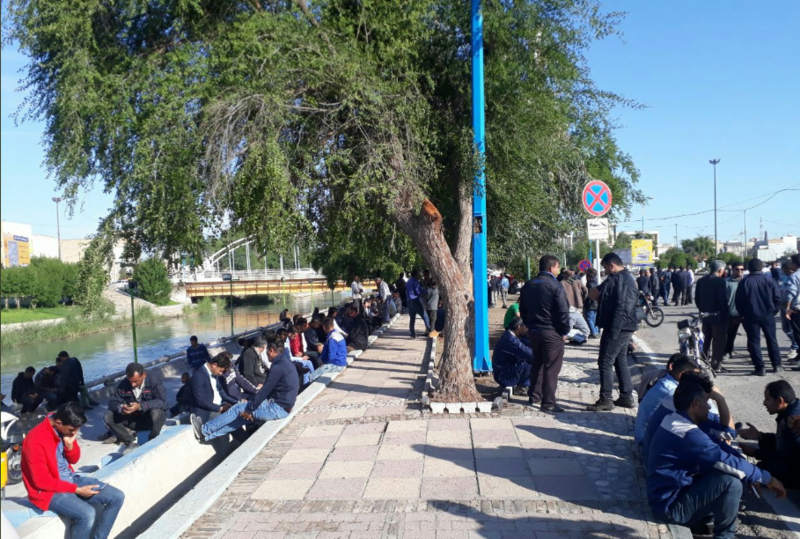 Meanwhile, students of Tehran’s Art University also rallied on Wednesday, expressing their solidarity with the protesting workers of Haft Tapeh in Shush and steelworkers in Ahvaz, both in the southwest Iranian province of Khuzestan. The Iranian Resistance calls on the UN High Commissioner for Human Rights, the International Labor Organization, trade unions and labor unions all over the world to take urgent action to free Ali Nejati and other detained workers and to support the striking workers. “People’s living conditions, except a certain few, are bad and even very poor. High prices are robbing people from anything to eat… The officials need only visit the alleys, streets, markets, supermarkets and small stores to listen to people’s protests and hopeless nature in regards to their living conditions, and their concerns about the future that lies ahead. It has nothing to do with being a dissident or not,” the report reads.